“César has studied with me and been personally trained by me to share this knowledge. If you would like to embark on the path of personal growth and evolution, I encourage you to engage with César. César is a Senior Chopra Center for Wellbeing Certified Instructor, a Certified Corporate Wellness Solutions Specialist by the Corporate Health and Wellness Association (U.S.A) and a Global Training Facilitator for Thrive Global, a corporate wellbeing productivity platform founded and led by Arianna Huffington. César is also an Executive Life Coach certified by the European Mentoring and Coaching Council (EMCC) and serves as Senior Advisor to the Global Centre for Conscious Leadership with base in London. 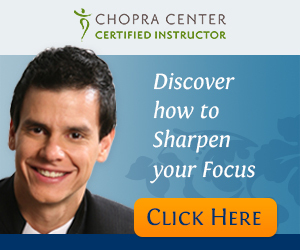 Under the personal training and guidance of Dr. Deepak Chopra, the global leading authority on mind-body medicine, César has been helping individuals and organisations for over a decade to effectively manage stress, attain work-life balance and improve their overall physical, emotional and psychological wellbeing. For 15 years, César led a successful career in two Fortune 500 companies in the technology industry, holding executive leadership positions in various regions across the world. Having experienced first-hand the demands of working in a global and fast-paced industry, he managed to effectively deal with the pressure as well the volatile and changing environment of the industry by applying the principles, methods and techniques which he now teaches. 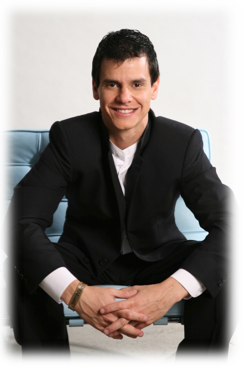 Equipped with his own personal experience and the latest scientific research and evidenced-based tools and practices, César has been delivering for over a decade comprehensive lectures, seminars and workshops to thousands of people and hundreds of organisations in every continent helping them to achieve higher levels of wellbeing in all aspects of their professional and personal lives. Through his work, participants have been able to acquire the practical knowledge required to be more productive and creative at work and raise their energy and engagement levels. César’s contributions have been influential in helping clients in Fortune 500 companies to find their source of inspiration, enabling deeper, more meaningful and substantial collaboration in multi-cultural and multi-disciplinary teams. César’s corporate clientele extends across many industries, including IT, financial, media, pharmaceutical, oil & gas and consumer products to name a few. He also serves as a personal wellbeing consultant to government, sports, arts and entertainment personalities.